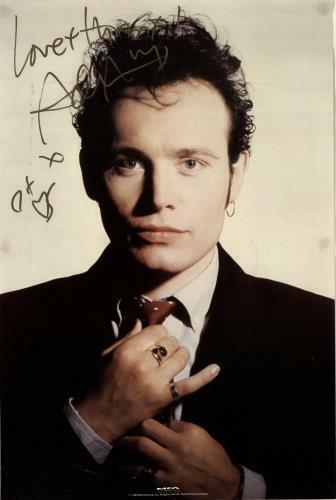 ADAM ANT Autographed Poster (Rare 1989 UK promotional poster featuring a great head & shoulders shot. The poster measures 22" x 14�" in size, and has been boldly signed 'Love + Thanx! X - Adam Ant' in a gold pen. A fabulous item to frame & display on any fans wall! ).